This manicure was inspire by a very heavy snow we had here in Minnesota. The best part about snow is the way the trees look afterwards. It's so magical. My manicure doesn't live up to nature's beauty, but I tried. 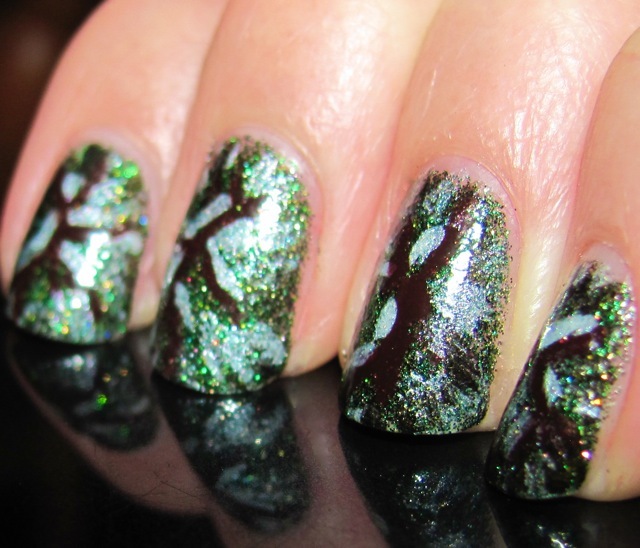 I painted a base of three coats of China Glaze Winter Holly and then for the design I added branches, snow and contrast with Zoya Paris, Edyta and Orly Au Champagne. I used two coats of Seche Vite for the top coat. Love this idea and the colors!